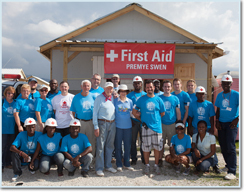 Trinity School of Medicine sent three Senior Medical Students to Haiti as part of the medical team supporting the initiatives of the Jimmy & Rosalynn Carter Work Project of Habitat for Humanity International. For the second year, Trinity students have traveled to the city of Leogane to support the efforts of the volunteers buidling new homes in the wake of the 7.0 magnitude earthquake that left areas of the country devastated in 2010. 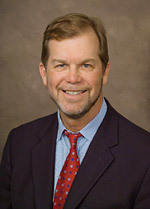 Trinity School of Medicine is pleased to announce Kent L. Rollins, MD as the keynote speaker for the upcoming White Coat Ceremony to take place on campus on Monday, January 7th honoring the January, 2013 incoming class. In addition to his position as Chief of Urology for Chippenham and Johnston Willis Hospitals in Richmond Virginia, Dr. Rollins travels to St. Vincent in his role as volunteer surgeon with the World Pediatric Project.